- Once you've configured the proxy as below, any attempts to browse a supported site (via automatic configuration) or any site (via manual configuration) will require a one time authentication. - You need to enter your RPNet Username and RPNet Password in the authorization form. 1) Open your Chrome Options page. 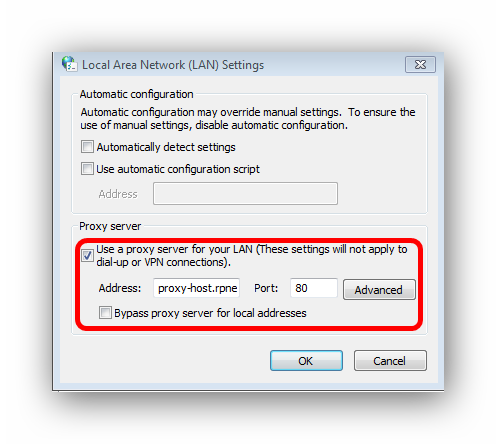 Search for 'proxy', and then click on Change proxy settings. 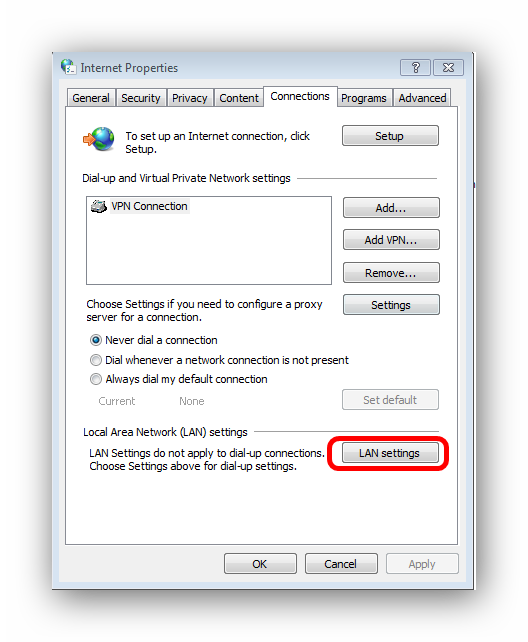 2) Navigate to the Connections tab (should already be selected under most circumstances), then click on Lan Settings. Refer to screenshot below. 3) Check the automatic configuration script box as shown in the below screenshot. 4) If you want to use the manual/general proxy, use the configuration as shown in the screenshot below.